ECM Processanalytic GmbH (ECMP) was founded in January 2009 by the Austrian businessman Rudi Alt and the joint stock company ECM ECO Monitoring a.s. Mission of the new venture was, to introduce in Austria and South-East Europe, world class process monitoring and environmental equipment, completed with application know-how. In the initial period the sales and marketing activities were focused mainly to the quality control of industrial gases with the analyzers of the company SERVOMEX (GB). Furthermore ECMP took over the representation of Sunset Laboratory (USA) and started to sell OC/EC-Aerosol-analyzers utilizing the thermal/optical method. In April 2010 a distributor contract for industrial trace heaters, manufactured by Thermon (USA), was signed. The sales of these top-class products contributed substantially to the increase of our customer data base opened new opportunities. With the growing market share the ECMP team started developing complex, custom-tailored analyzer systems for quality control of special gases. Thereby the cooperation with our vendors for analytical equipment ECOTECH (AUS), SK Elektronik (D) and PPM (GB) was intensified. 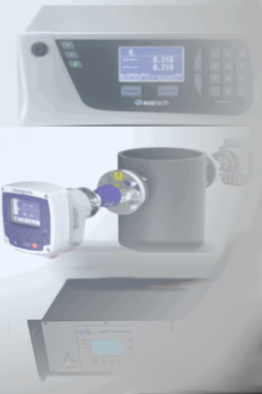 New manufacturers of process monitors and laboratory analyzers could be added to our vendor list. Among them are H2Scan (USA), MEECO (USA), Unisearch Associates (CAN) as well as the worldwide market leader for Mercury analyzers - the company Tekran (USA).